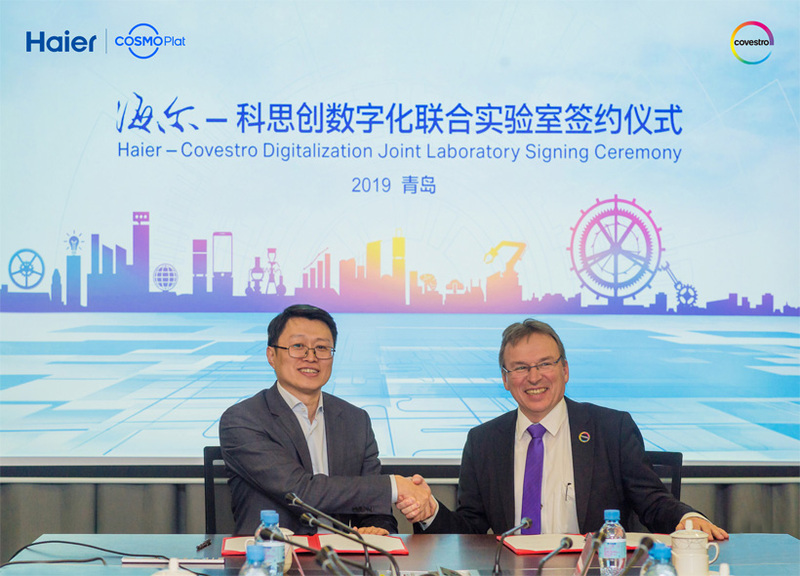 Covestro, one of the world’s leading polymer manufacturers, and the Haier Group, a major global brand for household appliances, have agreed to set up a joint laboratory in Qingdao, China, for the digitalization of appliance production. Both parties have signed an agreement thereon. The project will be supported by the Haier Institute of Industrial Intelligence. The laboratory will develop digital solutions for using polyurethanes in appliance production — in line with Covestro’s digitalization strategy. The objective is to set a new benchmark for digitalizing the chemical industry. All over the world, polyurethane rigid foam is the material of choice for efficient refrigerator insulation. To insulate a refrigerator, a precisely dosed amount of polyurethane raw materials is injected into the outer cavity and fills it up completely during foam formation. Both this material and the related foaming process are crucial for the refrigerator industry. Fully-automated, smart production depends primarily on a precise characterization of the polyurethane components — a complex task. With the development of digital solutions, Covestro hopes to open up new avenues for helping household appliance manufacturers overcome these challenges. 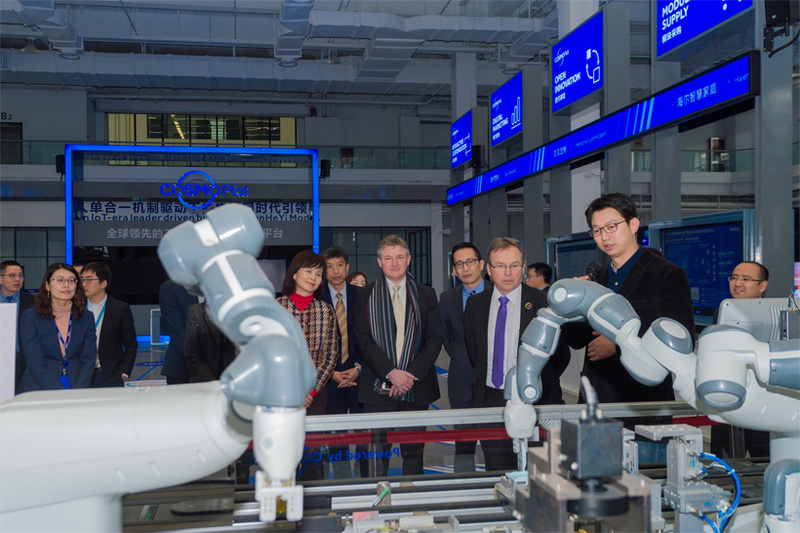 In the new Haier — Covestro Digitalization Joint Laboratory, both partners want to develop innovative solutions for data collection and analysis, monitoring foam quality and process workflows and continuously optimizing processes. These innovative measures will continuously improve the polyurethane foaming and manufacturing process, improve foam quality and reduce manufacturing costs. This will open up new opportunities for the domestic appliance industry in an increasingly digitalized world. Launched by Haier, COSMOPlat is the first industrial internet platform in the world to let users participate in the whole process. It can realize the transformation from mass manufacturing to mass customization, reshaping the industrial value chain and eco-chain, and further empower enterprises, users and suppliers to build a new manufacturing eco-system that can realize win-win cooperation. In recent years, various industries in China have driven the digital transformation. For the traditional chemical industry, this also has an impact on the development of upstream and downstream value chains. Covestro and Haier want to enter into a long-term, mutually beneficial partnership, by continuously developing innovative digital solutions. Empowered by COSMOPlat, digital solutions can also be applied to the development of customized solutions for diversified polyurethane applications so as to achieve mass customization. Dr. Michael Schmidt, head of Innovation Asia Pacific at Covestro, leading the R&D team, and John Dou, Vice president of Commercial Operation China, Polyurethanes segment at Covestro, leading the sales team, expect that this innovative coorperation model will further increase synergies between the two companies. As an important initiative of Covestro’s global digital strategy, the lab will focus on developing digital solutions related to polyurethane materials to push forward smart manufacturing in domestic appliance and mass customization in the chemical industry.